We are proud that our team at Norwegian Log is expanding and would like to introduce our new apprentices. 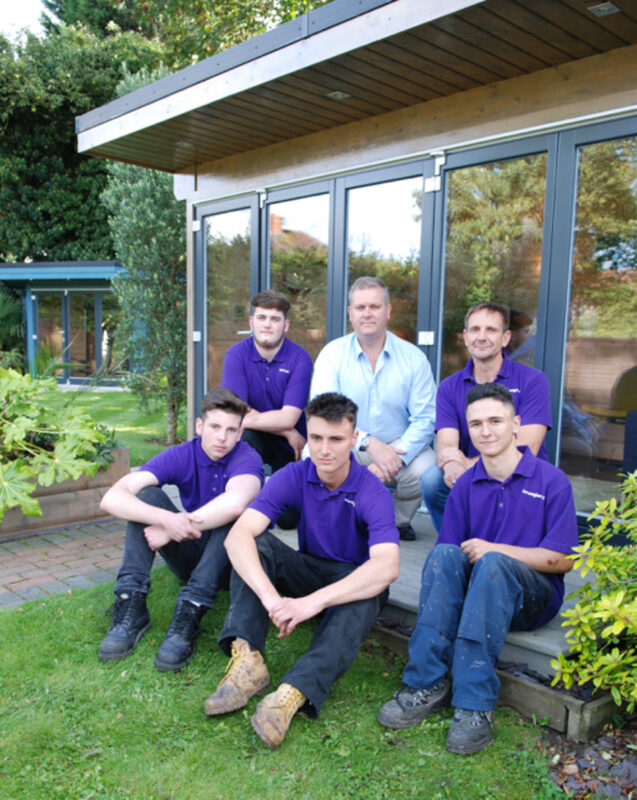 Perry, Will, Jacob and Harry (pictured above with our CEO Dan Barber and Contracts Manager Paul Williams) joined us last year and since then have been learning the carpentry ropes. Building our log cabins requires specialist skills and so, with the help of the Construction Industry Training Board, we decided to start our own apprenticeship scheme. The apprentices train on the job with our experienced staff, combined with study placements at Reading College. They are all working towards their NVQ Level 1 in Carpentry this July and will hopefully be fully qualified by July 2019 with their Level 2. They have also been learning how to drive and use kit such as forklifts, side lifts and a telescopic handler. Harry spotted the Norwegian Log apprenticeship ad after undertaking some work experience as a joiner. He now attends college once a week, has passed his driving test and is part of a three-man Norwegian Log construction team. Our other apprentices are Perry Orme, 18, and Jacob Clifford, also 18.